Besides the temple of Lord Jagannath there are other sacred places in Puri. In Puri there are five sacredbathing places. They are known as the PanchaTirtha. They are Indradyumna Tank, Markandeya Tank, Swetaganga, Sea and RohiniKunda. It is believed that the visit to Puri is incomplete unless the ceremony of PanchaTirtha is performed. By PanchaTirtha is meant the custom of bathing in the five holy Tanks. By visiting Lord Jagannath and bathing in the PanchaTirthas the pilgroms gets Salvation. Located on the north western part of the Gundicha temple, this Indradyumna Tank is one among the five sacred tanks of Puri. It is 396 feet wide and 485 feet long, and covers an area of four and a half acres. The place is famous for its religious importance and its connection to Lord Krishna. A temple of child Krishna stands here. Near the temple is a small shrine, dedicated to King Indrayumna of Orissa. At this place the 'AshwamedhaYagnya' arranged by Indradyumna is materialised by Brahma. After the end of the Yangya innumerable Brahmins were gifed. Now this 'YangyaKunda' is known as Indradyumna tank. The statue of Lord Jagannath, Balabhadra and Goddess Subhadra being constructed by Biswakarma is located near this Yangakunda at Gundicha temple. On its banks there are several small temples. God saved Sage Markandeya from a severe danger from Sea. The place where God saved Markanda is known as Markandeya, the holy place. On that particular spot Markandeya remained on meditation for a long time. He also grasped the sprit of Bhagabat, He also arranged a Yangya on that spot. At this place a temple was constructed by sage Markandeya. 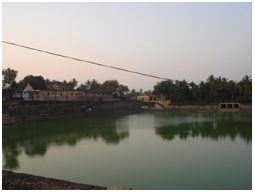 The Markandeya tank exists beside the temple and is one among the PanchaTirthas of Puri. 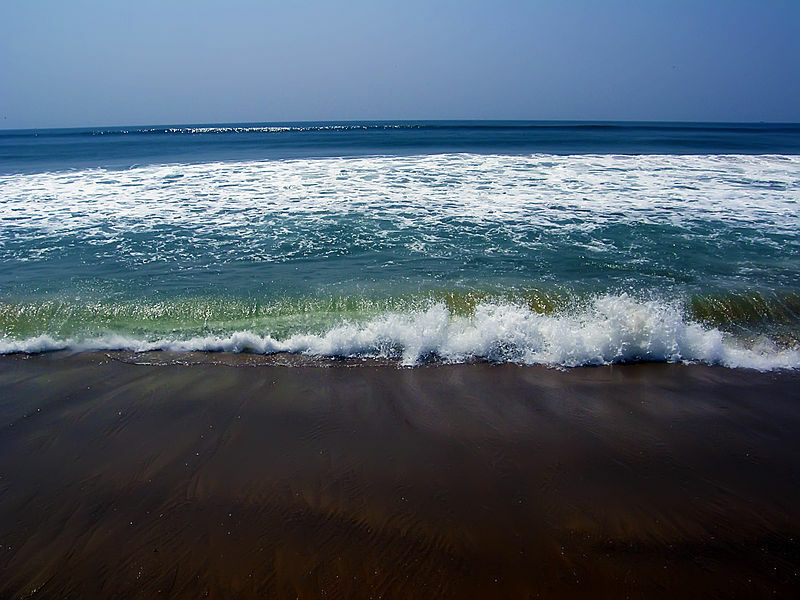 The greatest attraction of Puri for travellers and pilgrims is its long sandy Sea Beach. The Sea beach of Puri is one of the best beach in India for both tourists and religious point of view. Out of the five great holy tanks of Puri, Sea is the greatest and holist for travellers. 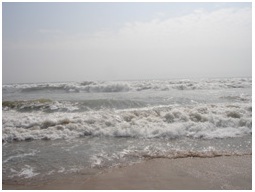 Puri Sea beach is the source of beauty and leisure resort. 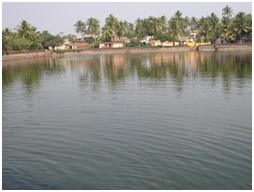 The tank is spread over a vast area, which features island in the middle, housing a small temple called ChandanaMandapa. The temple is connected with the south bank of the bridge, where Madan Mohan, representative deity of Jagannath is brought during the ChandanYatra. The holy tank in which the famed ChandanaYatra of Lord Jagannath is carried out is known as ChandanaPushkarini. Narendra tank was built by NarendraDev, who was shouldering the responsibility of kingdom with Purusottama. Located at MauzaDandimalaSahi, this tank is located at a distance of 2 km to the north of Jagannath Temple. The most celebrated, picturesque and oneof the large tanks of Orissa perhaps is theNarendra Tank. Because of its closerelationship with Jagannath Temple it isconsidered a holy tank among the pious Hindus.According to one legend 'Narendra Deva'brother of GajapatiKapilendra Deva excavatedthis tank and it was named after him. This holytank is also known as 'ChandanaPuskarini'because the famous 'ChandanaYatra' of LordJagannath is celebrated annually in this tank.Many medieval Oriya texts described the fameof this holy tank. This largest tank of Puri is 2 km. far fromJagannath Temple. It is situated on the left sideof the Grand Road running from JagannathTemple to Gundicha Temple. A good approachroad is running from Grand Road through'DandimalaSahi' to this tank. The surroundingarea of this tank gives a picturesqueappearance to this place. On the east of thetank there is Grand Road, MarkandeswarSahiand Temple of BisoiThakurani on the west,Brahmagiri Road and Jatia Baba Math on theNorth and JagannathBallabh Math on the south. According to one legend during the reignof GajapatiKapilendraDev, Veer NarendraDev, his younger brother sacrificed his life forthe sake of his motherland. His wife KalandiMahadevi after the death of her husbandrenounced all worldly pleasure and resided ina garden inbetweenJagannathBallabha andBalabhadraBallabha garden. She worshippedLord Siva and Krishna in that place. BabajiGovinda Das was her guru. Once the guruoffered a pumpkin seed to the queen. The queenplanted the seed. The vegitative growth of thepumpkin creeper was so luxuriant that it spreadin an area of 1350." Hundreds of pumpkin wereproduced from it. Those pumpkins wereutilised for preparation of Mahaprasada in thetemple. It was a talk of the town at that time.The fame of Kalandi Devi and the miraculouspumpkin plant reached the ear of GajapatiKapilendra Dev. The fourteen sons of queenKalandi Devi came to her mother who wasstaying alone. One day GajapatiKapilendraDev accompanied by his guru Mahadev Brahmapaid a visit to the residential garden of thequeen KalandiMahadevi. At that time GovindaDas, the guru of Kalandi Devi was engaged inthe worship of Lord Gopinath. Guru GovindDas blessed the king who was eager to meet queenKalandi Devi. Guru Govind Dasrequested the king to excavate a famous tankfor her, after the name of her late husband VeerNarendra Dev. To fulfil the desire of the queenhe also requested the king to name the mainghata after NarendraDev, the next one in thename of queenKalandi Devi. The king alsoconstructed fourteen ghatas after the name offourteen sons of Narendra Dev. 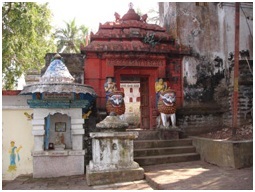 Chandanabijeghata (LambaChakada) was constructed forthe purpose of 'Chandanabije' of LordJagannath. This Chakada is named afterNarendra Dev. Apart to all this the kingKapilendraDev constructed a temple forKalandisvara Shiva and Gopinath on the bankof this holy tank. The Brahma Jaga after thename of Narahari Brahma (court poet) alsoestablished. Thus the famous 'ChandanYatra'of Lord Jagannath is being observed in pompand ceremony in the holy Narendra tank fromthose days.1From the old administrative records ofSrimandir it is known that the creation ofNarendra tank is due to the seed of pumpkin. The story is as follows :"During the reign of King NarendraDevof the vassal state Ranpur had very goodrelationship with the Gajapati king of Puri.King NarendraDev was a great devotee ofLord Jagannath. Once he got a pumpkin seedwhile moving leasurely in the countryard ofhis palace. The king in his jolly mood gave theseed to a Sarbarakara (Revenue Collector). Hetold the Sarbarakara to plant the seed in thename of Lord Jagannath and to offer all thepumpkins produced to the Lord. TheSarbarakara planted the seed in the name ofLord Jagannath with full devotion. Astonishingly the growth of the pumpkincreeper was luxurant and covered an area of14 acres. This creeper had a life of 5 years.Lakhs of pumpkins were produced. Thesarbarakara sold all the pumpkins worth lakhsof rupees. The Sarbarakara deposited all themoney to the king Narendra Dev. KingNarendraDev offered the money to GajapatiKing of Puri. Both the kings decided toconstruct a tank at Srikshetra out of this fund. The tank was of the area of 14 acres same tothe area the creeper covered.2 This is the tankof present famous Narendra.Narendra is the biggest and historicaltank of Srikshetra. From historical point ofview it was established in 14th-15th c.A.D.MadalaPanji mentions about Narendra tank,that 'LakhaposaNarendraMohapatra', theminister of Ganga King Veer NarasinghaDevexcavated the 'NarendraSaucha' tank.3 Fromthe very word 'NarendraSaucha' it is knownthat this tank was built for the purpose of dailyuse. 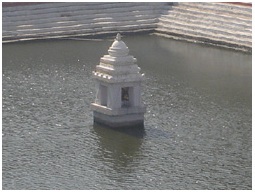 It is clear from the above description thatthis tank was built during Ganga period. 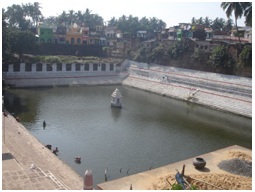 'CharaGanesha' is worshipped in a nearby Jaga closeto this tank. Tradition says that the scaffoldingwas done to carry big stone slabs for theconstruction of the great temple from here.From another account it is known thatthe brother of GajapatiKailendra Deva haddug this tank. So this tank was created in themiddle of 15th c.A.D. (Suryavamsi Period).Narendra tank is situated at MauzaDandimalaSahi. This tank stands on therevenue plot No.117 and 199 respectively. Thetank covers an area of 14.533 acres. The waterlevel of the tank is about 10 feet below thepresent road level. There are 16 ghatas of thetank. Among these ghatas 14 are named afterthe 14 sons of Narendra Deva, one after hisqueen Kalandi Devi Kalandiswarghata and themain ghata i.e. NarendraChakadaghata afterNarendra Deva, brother of GajapatiKapilendraDev.4 There are 3 ghatas in the east, 4 in thewest, 3 in the north and 6 in the south (includingthe chief ghata) respectively. The main ghatacontains a flight of steps made of Khondalitestone. The approximate depth of the tank is 28. "The size of the tank is nearly square measuring834" by 873. "5 The tank has an island in itscentre bearing a small temple of later periodcalled Chandanamandapa (50" x 12")connected with the south bank with a bridge to whichMadanamohana, the moving deity ofLord Jagannath, is brought for 21 days duringChandanYatra.The tank was previously a fine sheet ofwater which was kept clean by flushings fromthe Madhupur river (Mitianiriver) during therains through a channel in the western corner.6Over this Madhupur river stands the famousAtharanala Bridge. It is the entrace of Puritown. Presently both the inlet and the outlet ofthe tank are completely choked up and thesystem no longer works. The water as a resulthas turned filthy. On the bank of Narendra,Chara Ganesh,GopinathBallabhaMatha,Brahma Jaga and Jatia Baba Matha are situated.The historical study of the tank wouldbe incomplete without the study of CharaGanesha and Brahma Jaga.CharaGaneshaClose to Narendra Tank, a smallGanesha image exists in 'GaneshaGurujaJaga'even now which is known as CharaGaneshaand is indicative of the fact that the scaffoldingto carry big stone slabs for the construction ofthe Great temple started from this place. Hindutradition confirms that in the beginning of everyauspicious work, Ganesha who is known asSiddhidata (a deity granting success) has to beworshipped. It appeals to reason that in a sandytract like Puri where massive stones are a rarebuilding material, they must have been broughtin water route (either through Mahanadi orthrough Chilika) to Narendra tank from wherethese stones were taken to the temple construction site through a scaffold which iscalled Chara in Oriya. As a scaffold or Charais usually made of seasoned palm wood and itis still used in chariots during Car Festival toenable the heavy idols to be raised from theground to the platform on the chariots.7 Inearlier days there was a big door near CharaGanesha known as 'BadaDuara'. Brahma JagaThis Jaga is situated in the eastern sideof the Narendra Tank. It is described in theChakada that PanditNarahari Brahma was thecourt poet of GajapatiKapilendra Deva. Laterthe Gajapati established a Jaga in the name ofPanditNarahari Brahma. There was amandapa named 'Brahma JagaAlinda' fromwhere the king, queen and royal membersviewed the famous ChandanYatra. Thepresiding deity of this Jaga is Lord Hanuman.8From all these descriptions it is evidentthat this tank is quite significant from historicalpoint of view. Ganesha known as 'BadaDuara'. Brahma Jaga: This Jaga is situated in the eastern sideof the Narendra Tank. It is described in theChakada that PanditNarahari Brahma was thecourt poet of GajapatiKapilendra Deva. 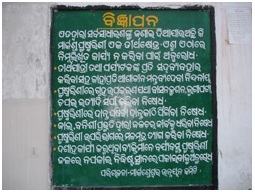 Laterthe Gajapati established a Jaga in the name ofPanditNarahari Brahma. There was amandapa named 'Brahma JagaAlinda' fromwhere the king, queen and royal membersviewed the famous ChandanYatra. Thepresiding deity of this Jaga is Lord Hanuman.8From all these descriptions it is evidentthat this tank is quite significant from historicalpoint of view.